As a clinical nurse specialist, you will diagnose and treat illnesses. You’re the expert that the medical staff, patients, and loved ones turn to in times of need. 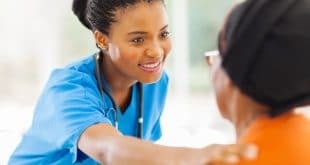 To become a clinical nurse specialist, you’ll have study, work, and learn a lot, but it will all be worth it when you see how helpful you can be to everyone on a medical unit. 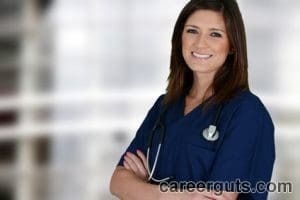 1 What Is a Clinical Nurse Specialist? As part of this work, nurses will care for patients, and keep family members informed of that care. They may teach medical staff to ensure a medical unit runs smoothly. Research is important as well because the medical field constantly changes. With this knowledge, the clinical nurse specialist consults and manages the medical community in a way that improves the healthcare system. The hard work clinical nurse specialist jobs are compensated well. The average annual salary for these specialists was $81,586 in 2010, according to Salary.com. It’s a career that has a good job outlook too. According to the U.S. Bureau of Labor Statistics, the field is expected to grow as much as 22% by 2018. This is a considerably faster rate than the average of all other professions. As a clinical nurse specialist, you could work in an office or on the medical unit. Some days you may work in one place, and on another day in another place. This is what clinical nurse specialists love so much. They can work directly with patients or behind the scenes to influence the care that patients receive. The first task a clinical nurse specialist has when coming to work is to review the care of all of the new patients. Upon review, the nurse will direct other nurses on what to do for patients. If there needs to be coordination between doctors and nurses, the clinical nurse specialist will set that up. Clinical nurse specialists will often attend meetings with medical staff because they are the experts on the issues of the unit. They will speak from knowledge and experienced, and they are highly respected by all in the hospital and community. 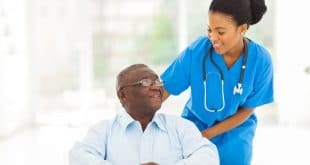 As a manager, the clinical nurse specialist must implement programs to ensure that the units run well, so that patients receive the best care possible. If there is ever an issue, the clinical nurse specialist must intervene to resolve the problem. The first step in becoming a clinical nurse specialist is to seek a Bachelor of Science in Nursing (BSN). Once this program is completed, the student must past the National Council Licensure Examination (NCLEX-RN) to become a registered nurse. To gain valuable experience as a nurse in the medical field, nursing graduates must work as a registered nurse. The next step is to seek a Master of Science in Nursing (MSN). There are specialties such as clinical nursing that most graduate students specialize in, which prepares them for the certification exam. Upon completion of the master’s program, graduate students must take the National Nurses Licensing Exam. This licensure enables nurses to call themselves a clinical nurse. Employers often prefer clinical nurses to not only be licensed, but certified as well. To receive this certification, they must pass the Certified Nurse Specialist (CNS) certification exam. 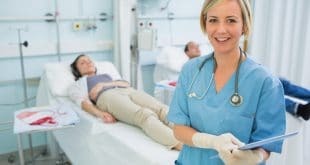 What are the Different Types of Advanced Practice Nurses?